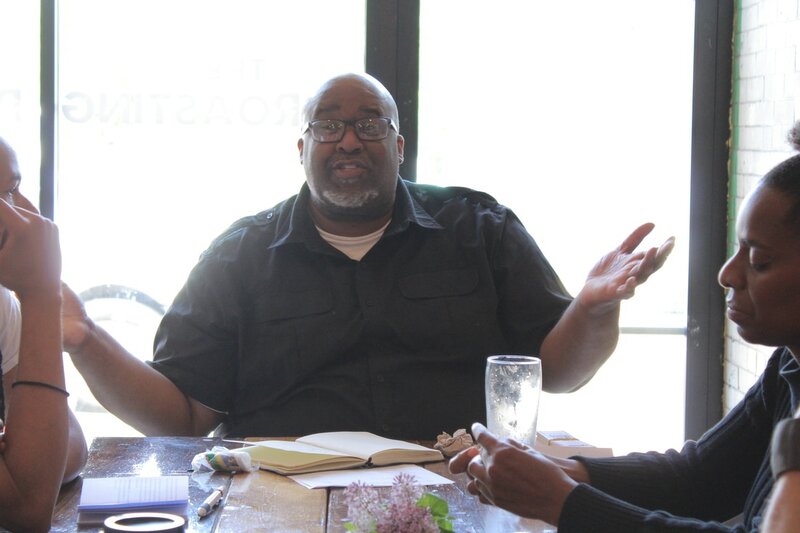 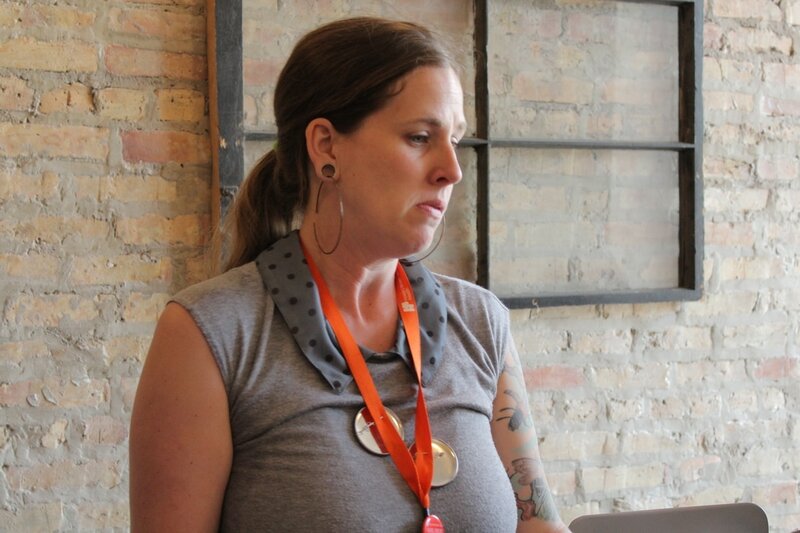 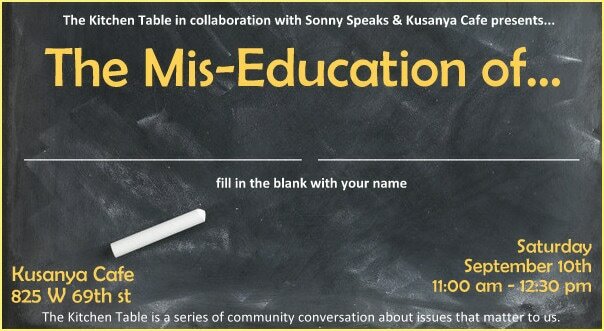 Sonny Speaks facilitated a series of community conversations called The Kitchen Table. 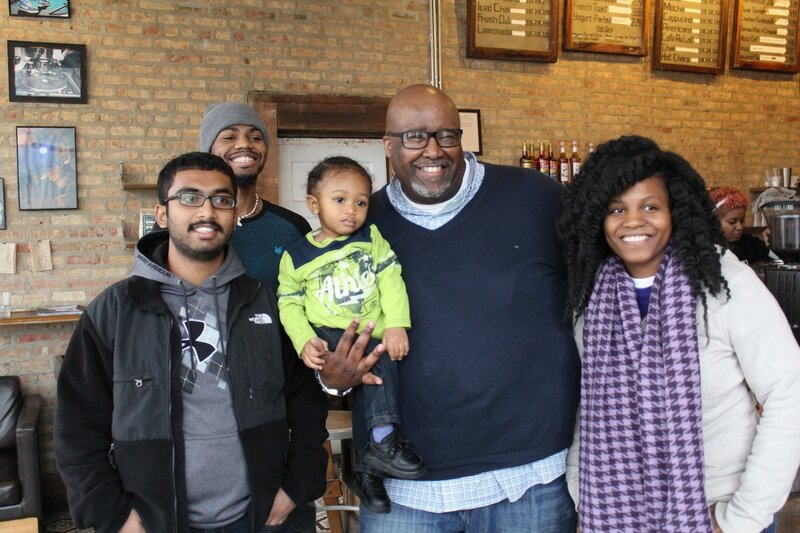 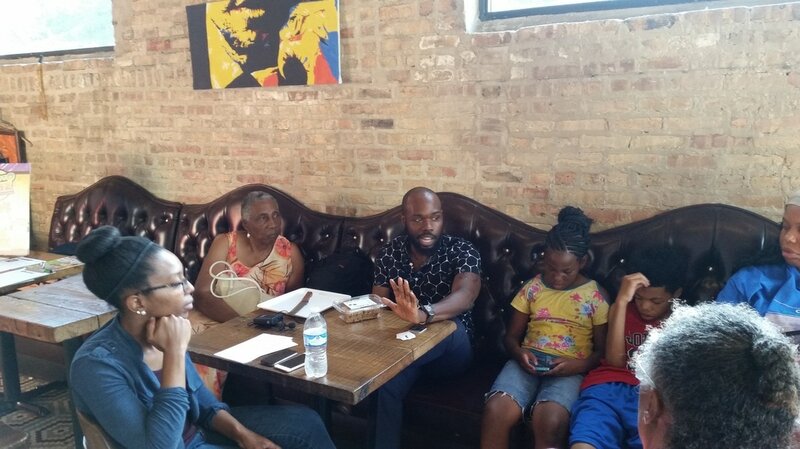 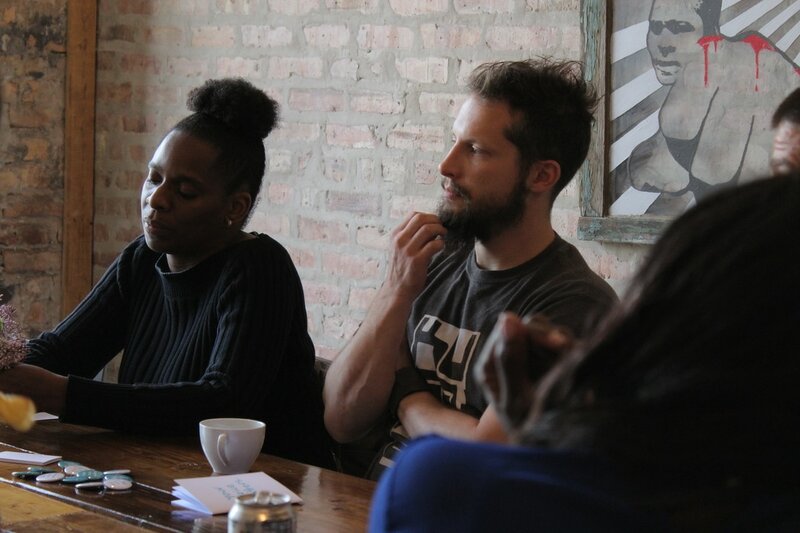 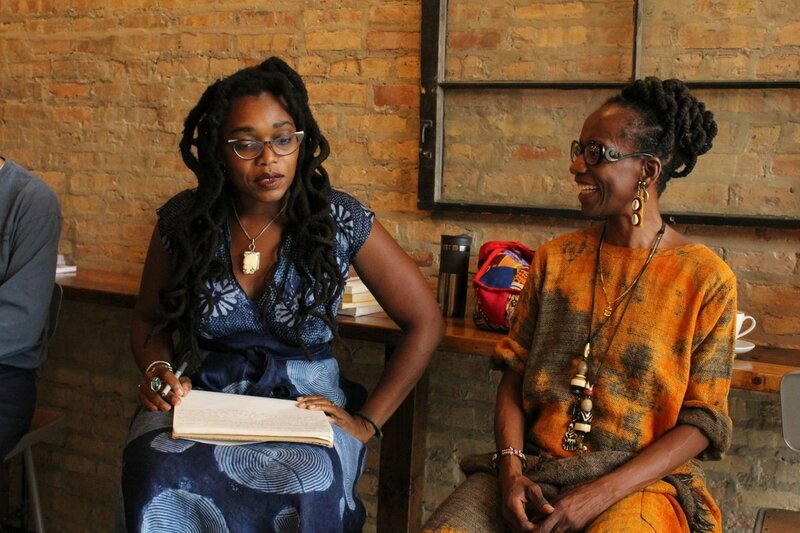 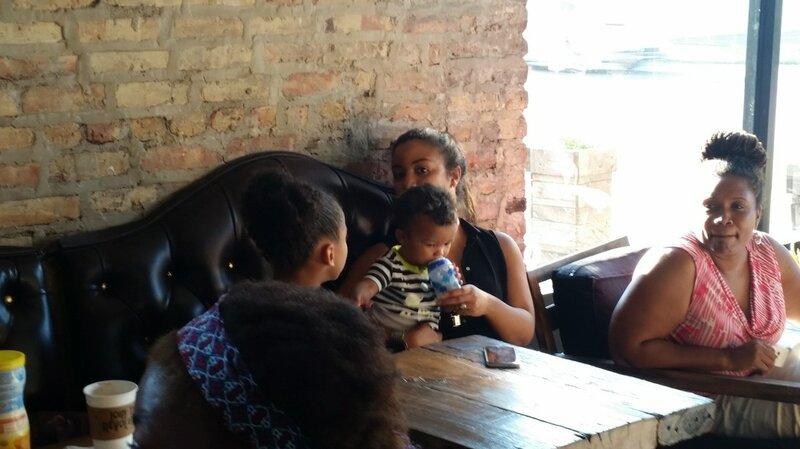 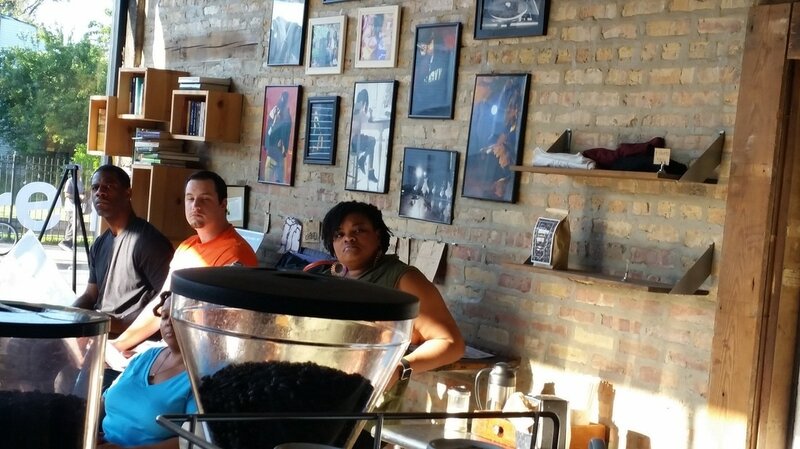 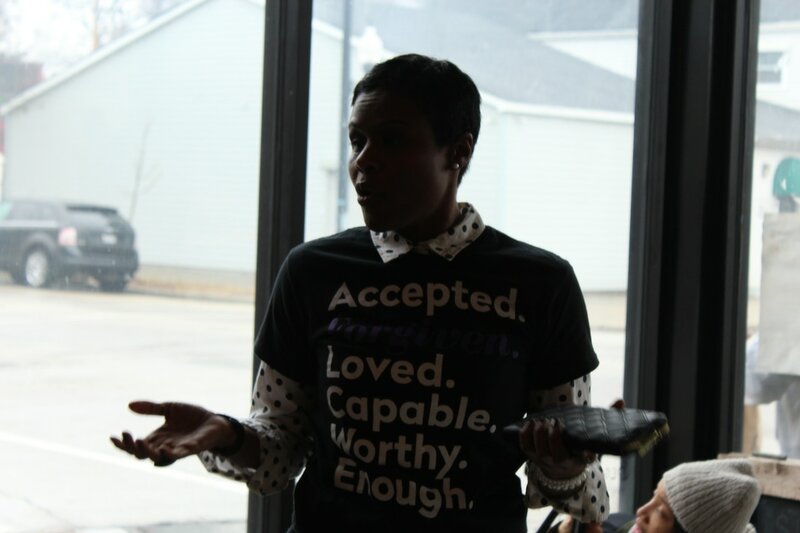 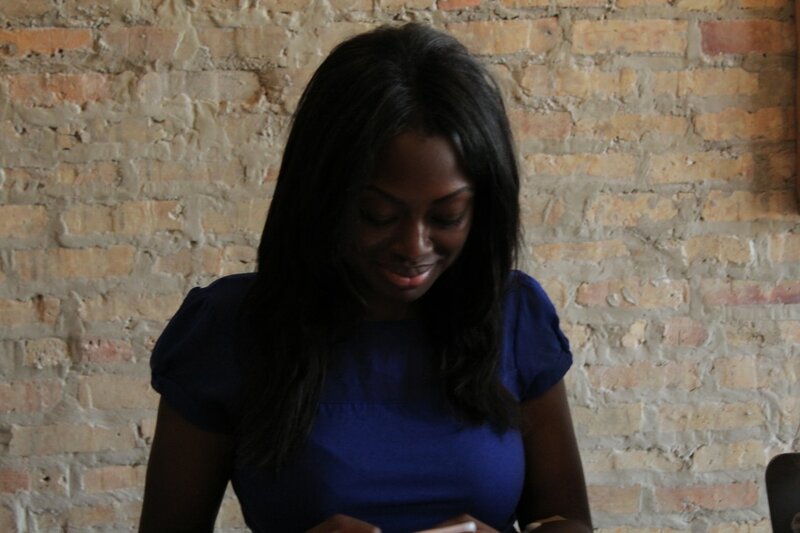 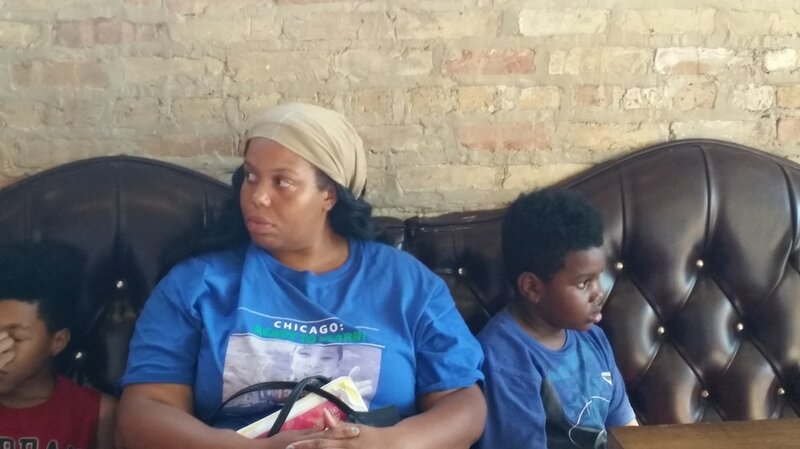 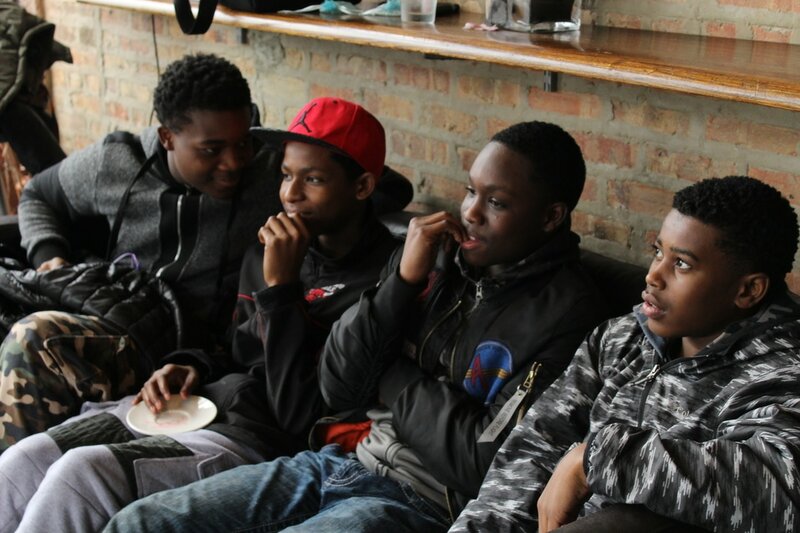 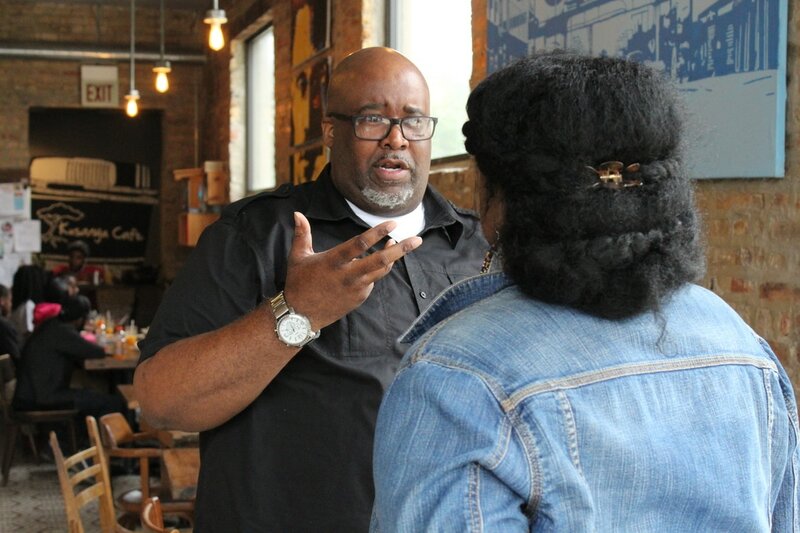 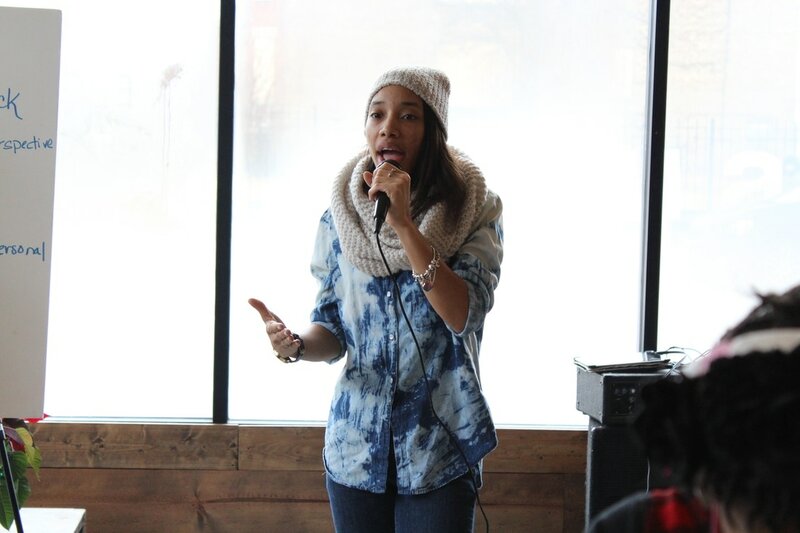 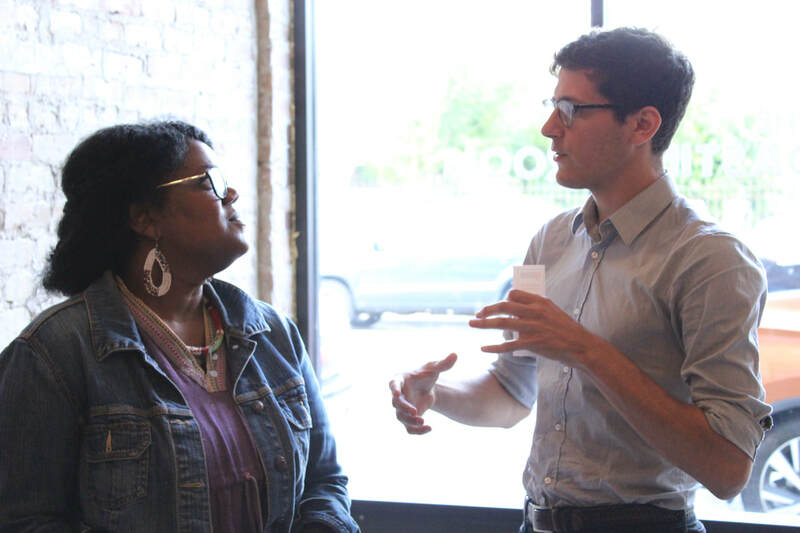 Issues that are important to the Englewood Community were addressed by industry professionals, community stakeholders and residents at Kusanya Cafe, a local coffee shop. 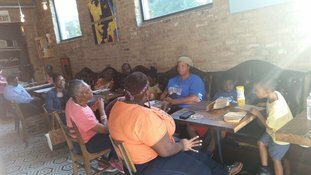 This community conversation focused on the circumstances and policies that affect the Englewood communities Food Crisis. 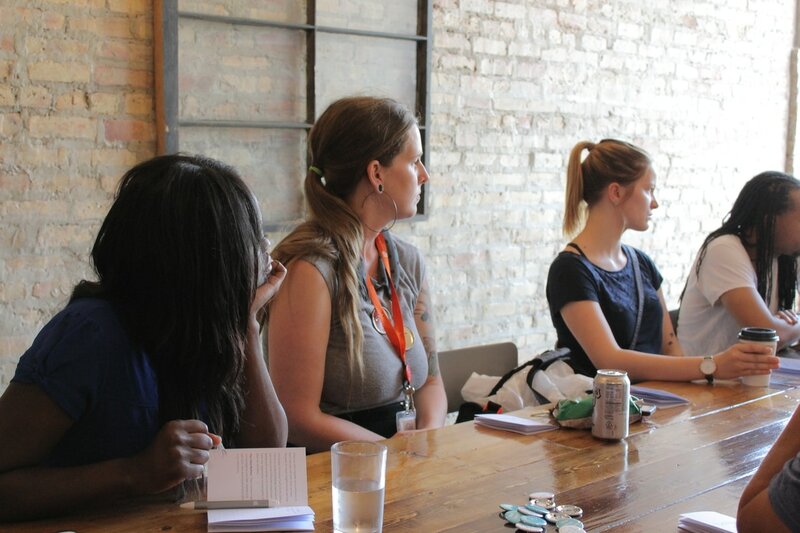 Industry professionals were available to address issues and concerns that the participants had. 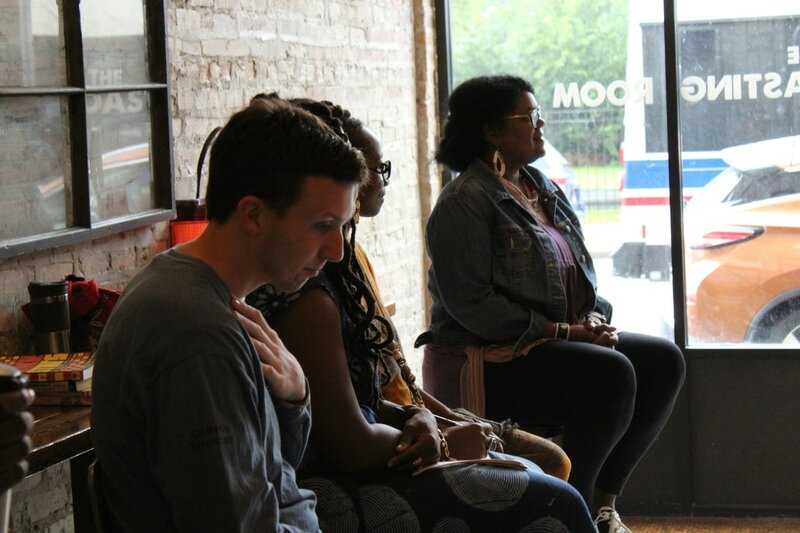 This community conversation took a probing look at the educational system with hopes of not fixing the system but revolutionizing it in a way that works for us. 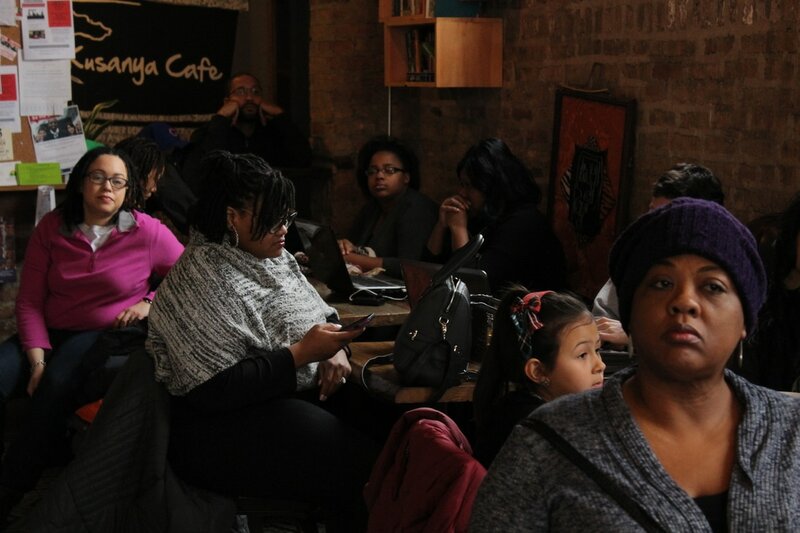 Teachers, educators and parents were present and shared their knowledge and experience. 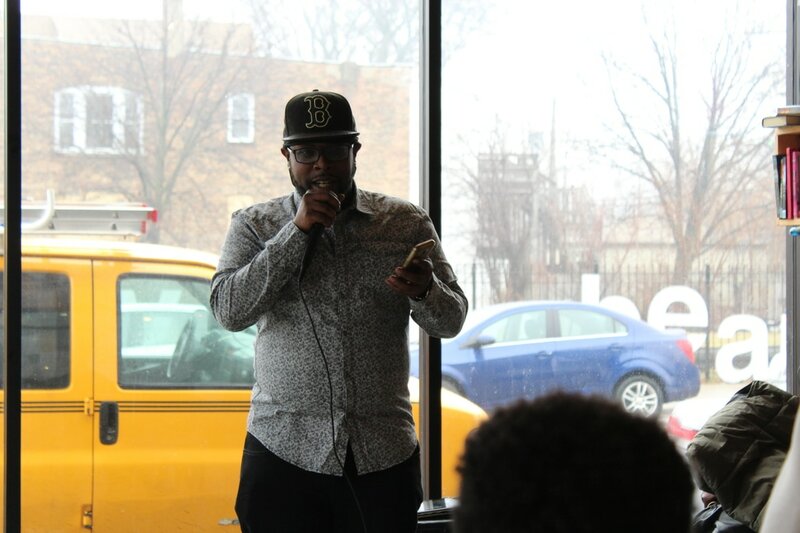 This community conversation was done in a storytelling format while honoring Dr Martin Luther King Jr's Birthday. 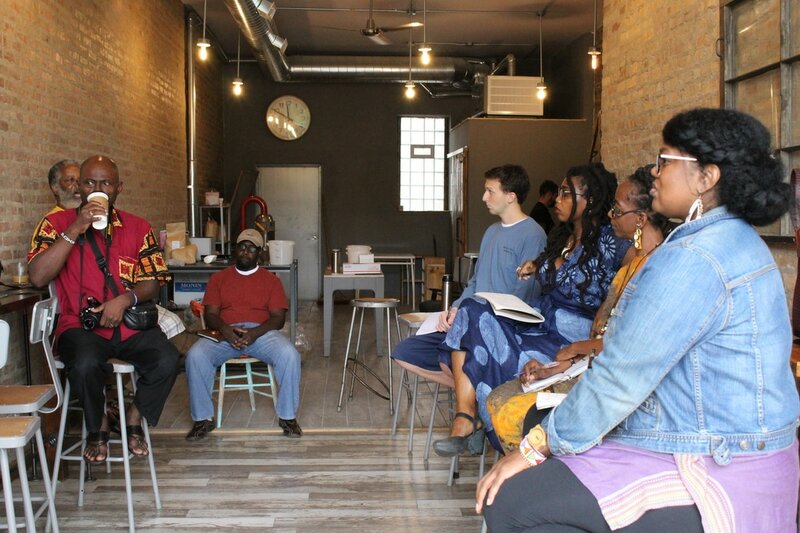 The storytellers told stories about how their lives have been affected by violence and sparked a robust conversation. 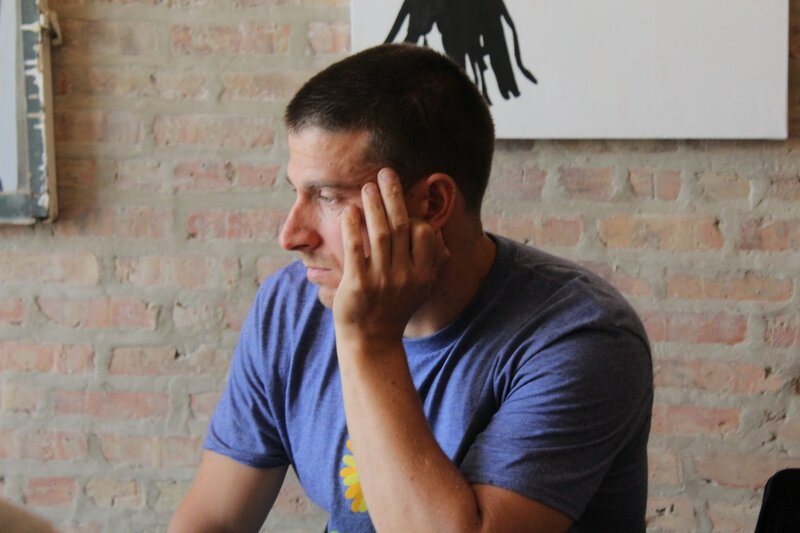 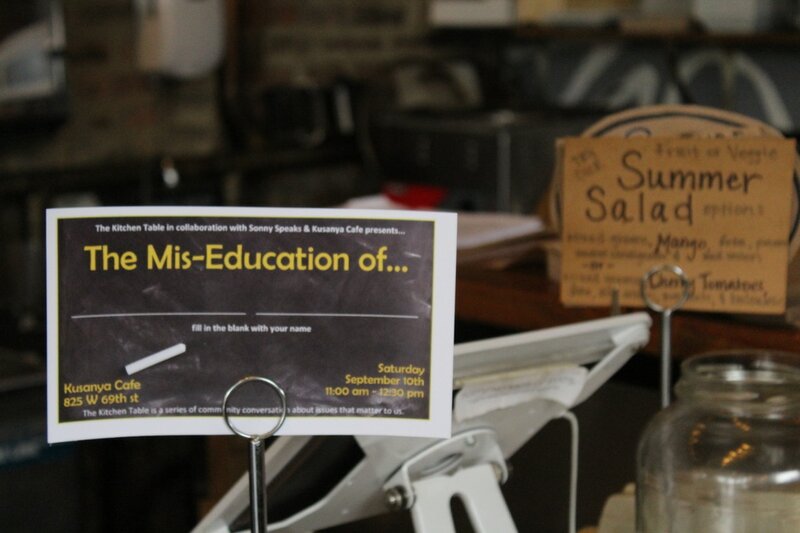 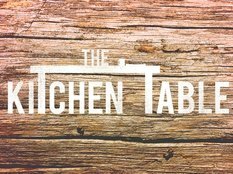 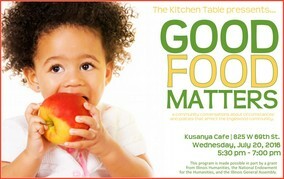 The Kitchen Table is a collaboration between Sonny Speaks and Kusanya Cafe and made possible by a grant from Illinois Humanities, the National Endowment for the Humanities, and the Illinois General Assembly.